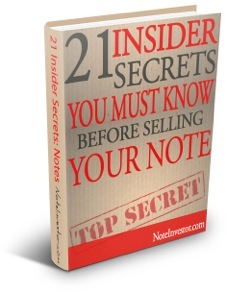 Knowing the right people can not only make things easier, in the case of the 2018 Directory of Owner Financed Note Buyers, it could also make you more money! 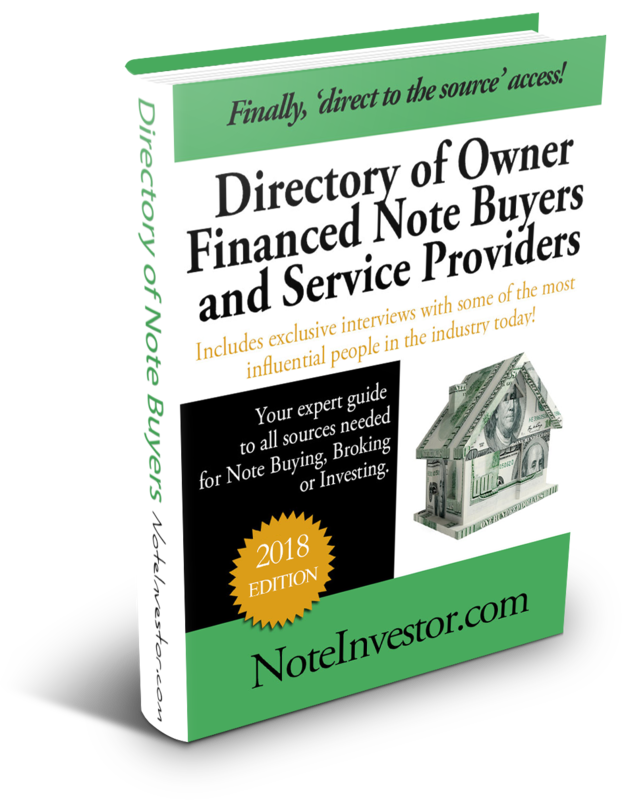 Order the 2018 Note Buyers Directory (immediately downloadable pdf) for an up-to-date listing and detailed contact information for today’s top note buyers and service providers. 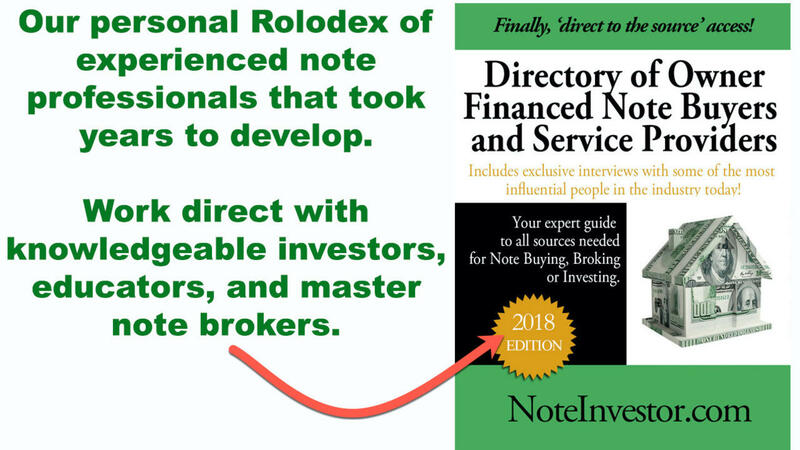 You get BOTH the Rolodex of Investor contact information AND the Funder interviews in the 2018 edition of the Directory of Owner Financed Note Buyers and Service Providers!